The days and weeks are melting away. By the time we get through New Year’s, we will only have 2 months until our departure date in Delaware. As the start of the walk gets closer by the day, our list of concerns and preparations is becoming clearer. For every one item we manage to cross off our To-Do list, seven more things get added. 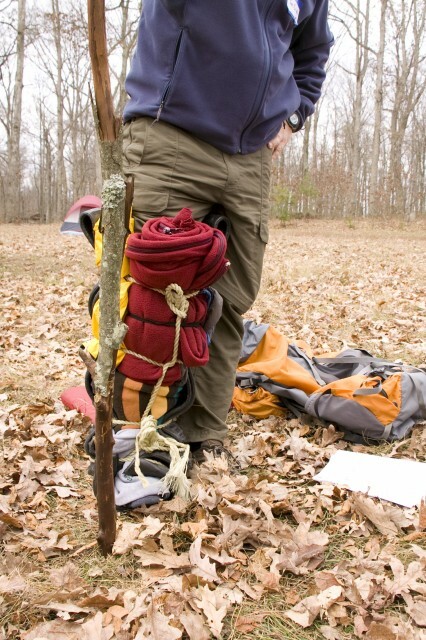 Last month, we crossed a big one off the list: Get certified in Wilderness First Aid. When I started to search for a local WFA course, Green Earth Outdoors was one of the first listings I came across. Green Earth specializes in personalized, sustainable outdoor adventures, guiding families and groups through beautiful wilderness areas all across America. They also offer a WFA course based on the SOLO curriculum (SOLO is the world’s longest-running school of wilderness medicine) as well as Leave No Trace training. I contacted Green Earth Outdoors about our project, and the response came from the owner and principle guide, Douglas Wagoner. Doug is a Scout Leader and mentor, a conservationist, and an accomplished outdoorsman. He has logged thousands of miles backpacking and canoeing, and is a certified Wilderness First Responder. In short, he’s the guy you would want to guide you through the backcountry. Doug was very interested in our Walk, and immediately began working with us to help in any way possible. He offered to discount the cost of the WFA class as a donation to our project, which meant that Kait and I could both afford to attend and gain the valuable training firsthand. Aside from being Certified in First Aid through the Red Cross, I spent many formative years of my life learning the basics of outdoor safety. When I was a but wee lad, my mother got me involved with the Boy Scouts of America. Mom had always loved the outdoors and nature, and she saw the BSA as a way to foster the same adventurous spirit in her young son. As I grew into a teenager and progressed through the ranks, I spent more and more time camping and practicing the motto of “Be Prepared.” Somewhere along the line, my teenage idealism kicked into high gear and, feeling the need to distance myself from hierarchical organization, I split from the Scouts before making the honorable rank of Eagle. Despite my early departure from the Boy Scouts, “Be Prepared” had a strong impact on me as a child. I was trained to think through what could happen in any given situation and plan ahead. Much of the focus was on safety, first aid, and protecting one’s self from the elements. I wanted to be prepared for everything all the time in my daily life, but eventually that mind set kept me from getting things done. I spent several years of my young adulthood paralyzed by worry. I would get so wrapped up in thinking about how things could go wrong and how I could prepare for them, that I often talked myself out of doing anything at all. Over time, I was able to practice more productive thinking, putting my mental energy into figuring out how to get something done – instead of getting stuck at all the ways it could go wrong. When Kait told Geoff about the course, he decided to sign up as well. 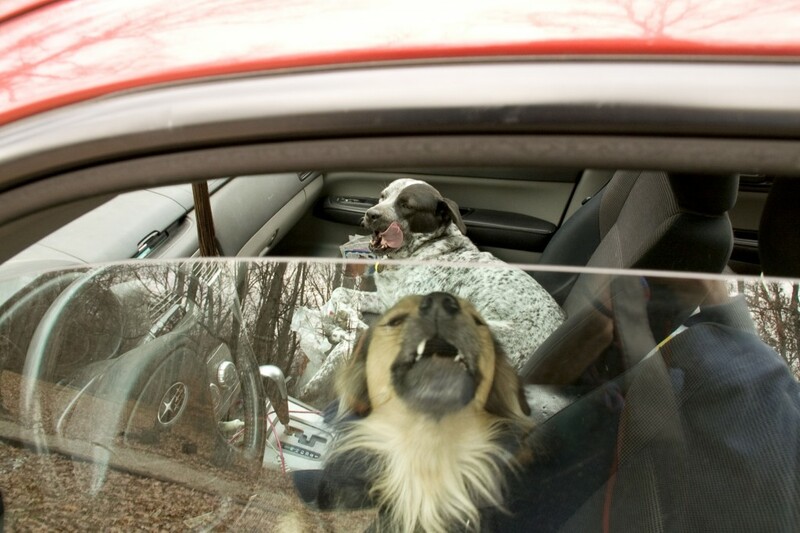 That Saturday morning, we piled into the car with our backpacks and dogs. The dogs were welcome to come camp with us, but they had to stay in the car during the day so that they would not disrupt class. The weather was mild, and they always seem pretty comfortable waiting in the car, so we decided to bring them along. Green Earth’s 2-day SOLO course was held on the Henry S. Frazier Jr. Scout Reservation in Shepherdsville, KY – the same Scout Reservation that is home to Camp Crooked Creek, my old Boy Scout stomping grounds. Doug brought SOLO instructor David “Cal” Calvin in to teach the course, and we couldn’t have asked for a better guide. We had a lot of information to cover in a very short time, and everything we learned in the classroom had to be practiced and applied in real-world scenarios. Much of the training was focused on assessment – Is the scene of the accident or injury safe? Is the person conscious and aware? Can they be safely moved or evacuated? One of the first skills we practiced was a coordinated group lift-and-move of an unconscious person. Imagine my horror when I walked out with my group to practice a scenario, only to see Kait’s limp body slumped over a log and surrounded by underbrush. The sight of her bright orange coat – the weight of her motionless body – was unsettling on a very primal level, and even in a controlled situation I felt my protective instincts kick into high gear as we carefully maneuvered her off of the log and safely to the ground. And then there was hypothermia practice, wound care, and splints – oh my, were there ever splints! First aid was always one of my favorite Boy Scouts activities, and I got to practice stabilizing and immobilizing broken bones yet again. Before we left, Doug offered to help us procure any odds and ends we need before we hit the road. Thanks to Green Earth Outdoors and SOLO – and of course, Doug and Cal – we have all the first aid knowledge we could hope to need on this trip. All things considered, the class was a great way for Kait and I to level up our confidence to face the unknown. We shouldn’t have to use much of this training during the walk, because we are careful and always try to keep safety first. Still, a little “Be Prepared” goes a long way toward a peace of mind. This entry was posted in Preparations and tagged boy scouts of america, dog, dog education, dog safety, dog travel, green earth outdoors, SOLO, training, walk across america, walk with dogs, WFA, wilderness first aid. Bookmark the permalink. 2 Responses to Be Prepared, or How to Not Die in the Woods.